First we hear that Benazir Bhutto was assasinated by a guy who shot her, then blew himself up. Then we start hearing that, no, she wasn't shot, she was killed during the explosion when she hit her head on a piece of the sunroof while trying to duck back in the car. Now they are saying that the government is covering something up by saying she wasn't shot when the video shows the guy shooting her. Does it really make any difference. She was killed by the guy they have on video, whether the bullets did it or the explosion, or she just fell as a result and hit her head - what difference does it make? Maybe the guy emptied his clip and missed every shot - it happens. What advantage would there be in claiming she wasn't shot when she was? If there was a cover up, wouldn't it be more beneficial to hide who he was and especially any connections he may have? Just sayin'. Very funny. David Blaine Street Magic spoof in 3 parts - language alert, not kid safe. Never be persuaded for one single moment either by the man who attacks Christianity, or by the man who defends it, into believing that science and religion are out of harmony with each other. Of course we need to be very careful to draw a distinction between scientific facts and scientific hypotheses; and to draw a distinction between Biblical declaration and human interpretation of its meaning. I stand for no man's interpretation of the Bible, not even my own, but I stand for the Bible. I am interested in every hypotheses of science, but I hold in reserve my judgment, and ask for ascertained fact; and when I find the ascertained fact, and the simple statement of Scripture, I find that they are one. -- G. Campbell Morgan in Sermon - The Kingdom: "Thy Kingdom"
Does It Have Visible Inclusions? Astronomers discovered the largest diamond of all times in space. The weight of the precious stone reportedly makes up ten billion trillion trillion carats or five million trillion trillion pounds. They must recycle the news because this was reported back in 2004 and I mentioned it then. It's the same diamond. Forget the rest, Fred is the best! In a nation where being a Christian can bring the death penalty for the "offender" and his entire family, where tens of thousands of Christians are held in terminal prison camps, and the populace is taught to revere its dictator as a god, there will be martyrdom for Christians on Christmas Day, according to an international ministry. A new U.S. Senate report documents hundreds of prominent scientists – experts in dozens of fields of study worldwide – who say global warming and cooling is a cycle of nature and cannot legitimately be connected to man's activities. 1. What is the perfect temperature? If we are to embark on a lifestyle-altering quest to lower the temperature (or at least minimize its rise), what is our goal? I don’t ask this flippantly. Can we demonstrate that one setting on the global thermostat is preferable over another? If so, what is it, and how do we get there? And, once there, how do we maintain it? Will we ever have to “heat things up” again if it drops below that point? 2. Just what is the average temperature of the earth? At any one time there are temperature extremes all over the planet. How do we come up with an average, and how do those variations fit in with our desire to slow global warming? 3. What factors have led to global warming in the past, and how do we know they aren’t the causes of the current warming trend? Again, I don’t ask this in a judgmental way. There is no argument that warming cycles (or cooling, for that matter) have been a part of earth’s history. Why are we so sure this one is different? 4. Why is there such a strong effort to stifle discussion and dissent? I’m always troubled by arguments that begin, “Everybody agrees...” or “Everyone knows...” In fact, there is a good deal of dissent in the scientific world about the theory of man-made global warming. A large (and growing) segment of those who study such things are questioning some of the basic premises of the theory. Why should there be anything wrong with that? Again, this is a big deal, and we should have the best information and opinion from the best minds. Fair questions one and all. Zimbabwe's economy has been in free-fall since 2000, when war veterans began to invade white-owned farms. Up to four million Zimbabweans have left for greener pastures. Maybe not such a good idea in hindsight. I received my first real spam on Gmail today. It was from a fake eBay seller offering a second chance on an auction I never heard of. Gmail did not catch it. I forwarded it to eBay and they said it was not from them. I only say this because I have serious doubts about the spam on Gmail. I talk about that here. I can't really post anything else after that. At least they weren't smoking. The women, their husbands and their fathers must die - their mothers, not so much. I think this takes the term a bit too far. I wonder who thought of using human fat as fuel for a boat anything. Only seven liters of the bio-diesel is from human fat, but still. I think someone may be non-compliant with their drug treatment plan. What's next? A brilliant plan to use the millions of aborted babies as a fuel source? And instead of burial or cremation you'll be forced to donate your body to make bio-diesel? Not much of a yard, actually. Seems like an awful lot of trouble to go through. Make the Bible smaller than a pinhead and then blow it up to a seven-by-seven meter poster? He said he now wanted to take pictures of the nano-Bible and blow it up to a seven-by-seven metre poster, which will make it "possible to read the entire bible with the naked eye". I can read my Bible with the naked eye and it fits in my hand. He must need glasses, making that tiny Bible strained his eyes. You gotta read that. Warning: F-bomb in last paragraph. Wait just one gosh darn minute. Religious activity on a public college campus, sanctioned and endorsed by the college? Why the ACLU must be at the courthouse right about…Muslim students, you say? Oh, nevermind. Rep. Steve King Endorses Fred Thompson. Good points. "When the chips are down I think democracy is a less important goal than is the protection of the planet from the death of life, the end of life on it," he says. "This has got to be imposed on people whether they like it or not." It runs counter to what you would expect but when you treat evil with respect and try to play fair with it, it grows far worse. You're both playing a different game and evil knows no rules. That's why no gun zones don't work and our revolving door justice system is doing nothing to prevent crime. We must have a firm and strong hand against crime. "the primary reason is that cigarette smoking is a hazard and we should avoid depicting it in movies and on television,"
but violence is glorified to such a degree it boggles the mind - in movies, video games and music - and of course, the excuse is that watching violence in movies or video games doesn't influence anyone to commit violent acts. For all the knowledge we have in this country, in the world, there is one thing we lack - wisdom. Barbara Wellensiek knew her son's insurance premium would be steep because of his driving record, but she never expected it would be $104,566.63 when the renewal notice came in. Ever Wonder How China makes Stuff Cheaper than us? I like the dust & particle free breathing apparatus, although I don't think breathing enters into it. This guy needs a quick, fair trial and should be dead by the end of the month. Forgive, yes, but also take him out of society for good, because it's the right thing to do. That's what this whole thing is all about - a new global regime. They want you to wet your pants over global warming so they can take over the world. Doctor Evil lives! Global warming is a scam and all the Democrat and most of the Republican nominees buy into it. Did you see Hillary volunteering to raise her hand at the debate? Scientists in Japan have succeeded in breeding a mouse that is not afraid of cats. Yes, there's a video. I saw most of this debate Wednesday and when I heard this question asked, and answered, I couldn't believe my ears. I thought about posting my thoughts on this election earlier but kept putting it off. I'm not excited about any of the front runners at all. I'm not sure why conservatives are jumping on the bandwagon of any of them. Huckabee - I don't like how he has previously handled (read 'raised') taxes at all, I'm very uncomfortable with that. I'm also uncomfortable with the way he seems to be using Christianity. I could be wrong but he seems more of a huckster than the real deal. I pass. Romney - Like his business sense. He was Governor of Massachusetts though. That's not a plus. He also seems like a huckster to me. He knows how to put the mask on and say what you want to hear. Sidenote: Don't care a wit about his religion - a complete non-issue. I pass here, too. Giuliani - I really like what he did for New York, especially after 9/11. He handled that so well. Like the previous two candidates, he's not really a true conservative though. I like him better than the others but mostly that's because of his leadership during 9/11, beyond that he doesn't excite me. McCain - Doesn't do anything for me. Fred Thomson - I like Fred. I'm comfortable with Fred. There are no areas I find questionable in him as far as being President. He should be the top guy as far as I am concerned. I like his style, he's not out there giving the song and dance, he does things in his own way, he'll say the unpopular thing when it needs to be said, and he doesn't go along with the crowd. He's the conservative candidate. He's not flashy. That's a major plus for me, but apparently not for most people. Too bad, because there is so rarely substance behind the flash. Vote for Fred. Asked about the biggest obstacle to improving education in America, Thompson says, "The National Education Association. The NEA." Thanks Jim Geraghty for the quote. Fred Thompson unofficial campaign t-shirt. Here's a picture of trout jumping 3 feet to a pipe to escape a pond. Or is it a picture of trout being dumped into the pond from the pipe? Something fishy about that picture, I say. Michael Schumacher may well be the fastest taxi driver in Germany after the seven-times world champion shocked a cab driver by taking over the wheel in order to be on time for a flight. "He drove at full throttle around the corners and over-took in some unbelievable places." The blonde beauty wants to be taken seriously as an actress and believes baring all is the best way to earn the respect of Tinseltown, even if it goes against her family's wishes. The best way to be taken seriously as an actor/actress is to be damn good at it. Blow them away with your ability. Yes, they want to see you naked but as soon as you do that, they lose interest. Welcome to the realm of hate crimes that aren't hate crimes. So you can watch this. And you will watch every 'destination,' have fun. A plethora of chickens are currently covering much of I-24 West near the Shelby Avenue exit, having taken a tumble out of a dump truck hauling the dead, apparently unfrozen birds under a tarp. Why is a dump truck hauling dead, apparently unfrozen chicken? The reporter forgot to ask. Friends at the victim’s school said she feared her father and had argued over her desire to shun the hijab, a traditional shoulder-length head scarf worn by females in devout Muslim families. Where are all the defectors to Cuba? 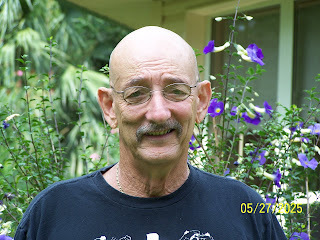 of Michael Sack - of the SackShack blog - who passed away on Dec 1, 2007. I didn't know him personally but always enjoyed reading his blog, he had a wonderful sense of humor and he will be missed. Unfortunately, his older posts are gone, but he left a letter for his family that will bring tears to your eyes. People for whom indignation is a way of life -- and there seem to be an increasing number of such people -- repeatedly have outbursts of outrage whenever the police fire a lot of shots at some criminal. It's horrible to see these shootings, the Omaha Mall and these church shootings, and my heart goes out to the victims and their families. There is a difference in the the second church shooting that is worth a look. Wearing combat boots and carrying an assault rifle and at least one pistol, the gunman, apparently without provocation, opened fire in a parking lot and shot four people, one of them fatally, as bystanders dashed for cover. There were about 7,000 worshipers inside the church when the shooting erupted, a church official said. The Colorado Springs chief of police, Richard Myers, said that after the parking-lot shootings, the assailant ran into the 10,000-seat church with his high-powered rifle, and was confronted by an armed church security guard, who shot and killed him. Neither the gunman nor the victims in Colorado Springs were immediately identified by the authorities. Security guards in the church were armed and were able to stop the gunman before he could kill anyone else. If not for that fact, the gunman would have had free reign to shoot until he ran out of bullets. Again, police were not on scene until it was all over. I'm not blaming them, merely pointing out what is true in most cases and why people need to be able to defend themselves. This gunman thought he would meet no resistance in what he thought was a gun-free zone. He didn't go down to the local gun range or police station to start shooting randomly - even crazy people know better. Or, at least make it very easy for criminals to kill people. Yes, a perfect shot. I had a full side profile, I was close, and no one was visible behind him execept a wall. I had a clear shot during the second round of fire. When I realized that I had no gun, fear instantly struck me, along with anger, and severe panic. I am very angry at the city of Omaha and the mall for their stupid laws that nearly cost me my life. The laws protected no one, and in my opinion, caused people to die. It took FOREVER for the cops to get there, I estimated the time as 10 minutes but the news says 6. It's not their fault, but cops are never there (except by shear luck) until it's too late. You can't rely on them to save you. They will fill out the paperwork, interview survivors, and notify the next of kin - and if the bad guy got away, hopefully they will find him. No guarantees. Are they crazy? Leave the land of universal health care to come to the evil United States? Why would anyone want to escape from communism? Western democracies are voting for more and more socialist programs and the people who live with socialist programs want to get the hell out! People risk life and limb trying to get out from under those regimes. Reality trumps theory - get a clue. Thus we have the spectacle of troubled people coming to mental-health experts with serious personal problems – emotional conflicts, fears, obsessions, compulsions and perhaps delusions rooted in early trauma, or in seriously flawed family relationships, or in buried resentments toward cruelty and injustice that were never resolved but just festered and grew. Yet, instead of being helped to understand where they've gone wrong, or where their negative programming, unhealthy relationships and destructive attitudes came from so they can correct them and find genuine healing, they're given clever drugs designed to chemically trick the body and mind into "feeling better." And then, when they discontinue taking the drugs, they risk serious deterioration of their condition. But isn't that exactly what happens when we just mask symptoms and ignore root causes? Moreover, why do even the smartest and most educated of our experts today tend reflexively to ignore root causes? Because root causes have to do with God and our relationship, or lack thereof, with Him. I guarantee that many people who read that last sentence either glazed over it or were somehow put off by it. I'll say it again using different words: We need to wake up to the spiritual dimension of life or we will never be able to understand what goes wrong with us, or to genuinely resolve our problems. Unfortunately, right now many of us are in love with the idea that there is no God. Books currently riding high atop national best-seller lists include "God is Not Great: How Religion Poisons Everything" by Christopher Hitchens, "The God Delusion" by Richard Dawkins and "The End of Faith" by Sam Harris – all of them unapologetically rabid atheist manifestos. For an atheist, the problem here is that although you can still be a good engineer or a skillful surgeon, if you're trying to help people who are full of rage and conflict and plagued by dark thoughts and malevolent inner voices urging them to kill people, you're worse than clueless. Worse because your lethal combination of prideful arrogance and utter lack of comprehension of what you're actually dealing with will inevitably lead you to "fix" such problems in ways that not only don't help people, but vastly multiply their woes – and those of their victims. If I'm wrong, and fanatical Christians behead me, then posting may be light for the next few days. Global warming will kill him first. By the way, is there a name for the Christian equivalent of a "fatwa"? I only wish this was the most ridiculous thing I ever heard. The Lehigh Valley IronPigs minor league baseball team this afternoon announced it is replacing the winning entry in its "Name the Mascot" contest from PorkChop to Ferrous. IronPigs General Manager Kurt Landes said he received a handful of e-mails and phone calls last night from people in the Latino community who called the name derogatory. Well, better change the name of the meat, too. How does 'the other white meat chop' sound. Anyone offended? Light one less candle this Hanukka to save the planet. "The campaign calls for Jews around the world to save the last candle and save the planet, so we won't need another miracle,"
Thought I'd Seen Everything Dept. Something for that special cat in your life. What's next? Lipstick and high heels? "A society's first line of defence is not the law but customs, traditions and moral values," wrote Walter Williams of George Mason University recently. "They include important thou-shalt-nots such as shalt not murder, shalt not steal, shalt not lie and cheat, but they also include all those courtesies one might call ladylike and gentlemanly conduct. Policemen and laws can never replace these restraints on personal conduct." "Restraint" is an unfashionable concept these days. You can wear a skirt walking one of these and pit bull owners will wet their pants as you walk by. What's Peace Got To Do With It? That's what they say. Nice, but not too good in the rain, I'd say. Seems like it complicates an easy job, there is a reason car door opening technology hasn't changed much. It's not because they haven't tried. I don't hate it though. Well, unless Ford puts their stupid combination lock on the outside of it. What's with that? Someone will get their leg, arm or head stuck in it somehow - it's practically the law. Get them out of government schools! Protect your children! When a Des Moines public school encouraged an event it characterized as a "gender-bender," where boys dressed as girls and girls as boys, dozens of families – and perhaps as many as 200 – pulled their kids out of the high school permanently. Americans need to start waking up and taking appropriate action. Don't wait for leaders to arise. Be a leader! Take responsibility – especially for your own family, your own children! That's what the parents in Iowa did – finally. When more parents take this action, we will be on our way toward taking America back. It won't be because we elect people to the local school boards. It won't be because we elect the right president. It won't be because we elect one party or the other to a majority in Congress. It will be because a remnant of American citizens remembers we are supposed to be a self-governing people and do what is necessary to protect our children and, thus, the future of this nation. We're seeing more of this kind of child abuse on a daily basis in America – and it is no accident. It is not a matter of chance. It is not the exception; it is the rule. This is where we are all headed unless you take control of your life and the lives of your children today. Some animals are just not meant to be eaten. I wish everyone agreed on this one. How many beers did the government-commissioned scientists have before doing the study? I think there is a running joke among scientists to see just how ridiculous a study they can get the government to pay them for. I grew up in the era of Evel Knievel, he was 'the man.' Never thought he'd grow old. Trend-setting radio talk show host Michael Savage has filed a copyright infringement lawsuit against the Council on Islamic-American Relations, and has accused the organization of being a "political vehicle of international terrorism" that seeks to do "material harm to those voices who speak against the violent agenda of CAIR's clients." Fanatics demanding Mrs Gibbons' execution by firing squad streamed out of mosques yesterday after prayers — grabbing machetes, knives and clubs. The hate-filled protesters — whipped into a frenzy by religious leaders — converged on the presidential palace as it emerged Gillian was an INNOCENT victim of a vindictive school secretary. Hundreds of riot police refused to intervene — even though the demo threatened to spiral out of control. Fearful officials moved their prisoner to a different jail for her own safety. Hundreds of placard-waving extremists marched on the city’s Unity High School — where Gillian taught. She was jailed even though the bear, used in a project on animals, was named by her PUPILS after one of their classmates. Demonstrators then headed towards the nearby British Embassy — before security forces finally stopped them. Don't EVER talk to me about your so called religion of peace - I am so over it. There is no peace in Islam - body pieces maybe - not peace. No way, no how. The actions of the people do not show it. And it's not just a few extremists either, don't even go there. It's way beyond that. Action speaks louder than words. Words are meaningless without action to back them up. I'm not listening, but I am watching. The good people who are Muslims need to get a grip, think real hard about the way things are and seriously consider who they are worshiping. Is it a God of love? Really? A God of love wants to kill a woman over a teddy bear? Or cartoons? Hate to rock your world, but no. Never. Your God is not big enough to take insults? Your God is not big enough to avenge Himself? In His time? Then your god is way, way, way too small. He is not GOD. He is not a God of peace. He is a god you have to carry. Sorry, the truth hurts sometimes. We've all been deceived, don't feel too bad. We all have to come out of deception, the whole world is deceived. So much so that I doubt anyone can fully get clear of it before their death. It's most important to start where you are and work your way out of the mess, if you are honestly seeking GOD, willing to admit you have had it wrong in the past and willing to obey the truth you learn, then you will make progress. GOD will slowly reveal Himself to you. If not, then you are where you are going to be. It's not easy to let go of all that you thought was true your whole life, but you will be glad you did.